The LSAAB was created by the Lower Southampton Township supervisors to educate our local residents concerned about the welfare of all animals, domestics, exotics and wild, to assist our local government with animal related concerns, to educate the public and to become a resource of information to our residents in the area. LSAAB works alongside with several animal rescues groups, organizations, facilites and government agencies. LSAAB was first created to help with the feral cat overpopulation in our area. The Board meets the 1st Thursday of every month at 7:00 PM. Lost Pet? Please click HERE to use FIND TOTO to message others in your community instantly about your missing pet! 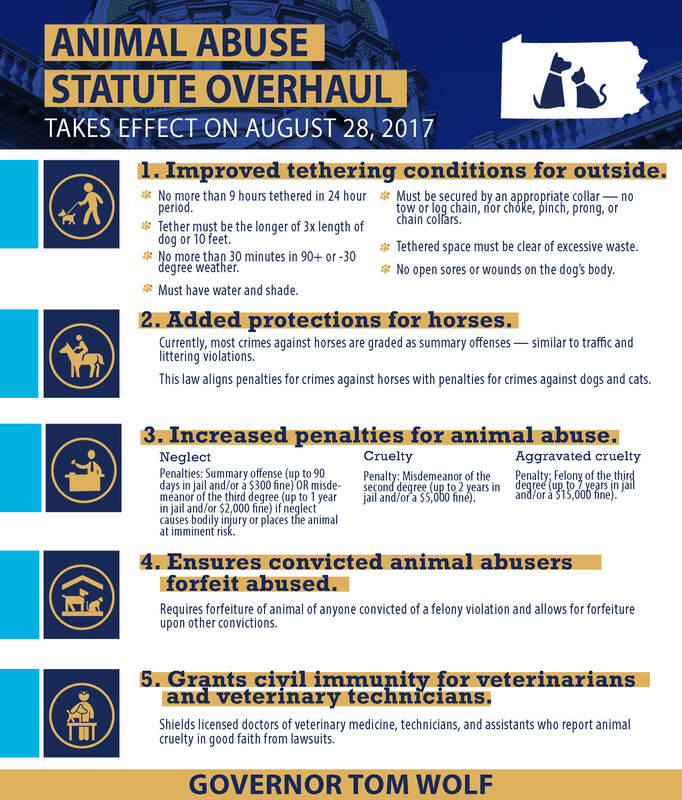 New Animal Abuse Statute Overhaul takes effect! Click HERE for more information! The Board of Auditors shall meet annually at the place of meeting of the board of supervisors on the day following the day designated by this act for organization of the board of supervisors, and they shall organize by the election of a chairman and secretary. The board of auditors shall audit, settle and adjust the accounts of all elected or appointed officials of the township and its boards or agencies that received or disbursed funds of or owing to the township during the immediately preceding calendar year. The board of auditors shall determine the compensations for the current year authorized in section 606 for supervisors employed by the township. Two auditors shall constitute a quorum. The auditors may also make an audit of the dockets, transcripts and other official records of the district justices to determine the amount of fines and costs paid over or due the township, and the dockets and records of the district justices shall be open to inspection by the auditors for that purpose. Unless otherwise agreed to by the board of auditors and the officer being audited, the audit shall be conducted at the place the records of the officer are normally kept. promotion and conservation of the natural resources and for the protection and improvement of the quality of the environment within the area of this Township. Make recommendations as to the possible use of open land areas of this Township. Keep an index of all open areas, publicly or privately owned, including, but not limited to, flood prone areas, swamps, and other unique natural areas. Advise the appropriate local governmental agencies in the acquisition of property, both real and personal. The Council meets the 2nd Monday of the month at 7:00 PM. The Township of Lower Southampton hereby establishes as a free, public, nonsectarian library, the existing Township Library of Lower Southampton which shall operate under the provisions below. The Board of Library Directors shall be authorized to prepare and adopt its own bylaws subject, however, to the prior approval by the Board of Supervisors of the Township of Lower Southampton before any such by-laws or amendments thereto shall become effective. The management and control of said free, public, nonsectarian library, shall be vested in the Board of Library Directors; provided, however, that said Board of Library Directors shall report annually to the Board of Supervisors of the Township of Lower Southampton, of their receipts and expenditures and the accounts of said Library and the treasurer thereof shall be audited as in the case of other municipal expenditures. The Township Library of Lower Southampton shall be free to the use of all the residents of the Township subject to such reasonable rules and regulations as the Board of Libraries may adopt. Said Board may exclude from the use of the library a person who has willfully violated such rules and regulations. The Board may extend the privileges of such library to persons residing outside the limits of such of the Township of Lower Southampton upon such terms and conditions as the Board may prescribe. The Board meets the 2nd Tuesday of every month at 7:30pm. The Board meets the 1st & 3rd Tuesday of every month at 7:00pm. Playwicki Farm is located on Bridgetown Pike in Lower Southampton Township, Bucks County, Pennsylvania. Open space, old growth forest, wetlands, agricultural land, a wildlife habitat and a renowned but now defunct quarry are all incorporated into one hundred and ten acres. In May of 1994 the Board of Supervisors of Lower Southampton Township finalized the purchase of the property from the estate of Elizabeth Snodgrass thereby preserving the last large open space in the township for all to enjoy. The Playwicki Farm Foundation was created in September of 1996 as an independent, tax exempt corporation to raise money for charitable, education and scientific purposes. The funds are to be used for the repair, replacement, maintenance and preservation of Playwicki Farm and the development of educational programs. We need your help and your support. Together we can make Playwicki Farm a wonderful place to play. The Recreation Board shall advise the Board of Supervisors as to the equipment, operation, supervision and maintenance of such parks, recreation areas and facilities as may be designated by the Board of Supervisors of said Township of Lower Southampton under the provisions of the Second Class Township Code, 53 P.S. §65101et seq. It shall be the duty of the Recreation Board and its executive to submit an annual report to the Township Supervisors, including an analysis of the recreation areas, facilities and leadership, with particular reference to the extent and adequacy of the program and its effectiveness in view of the public expenditure involved and the public needs to be met.. The Board meets the 2nd Tuesday of every month at 7:00pm. The Advisory Board created herein shall assist in public education with respect to the Americans with Disabilities Act, and all other state, local, and federal statues, regulations, or requirements which may be appropriate for Township consideration and action; educate the community as to the needs of the disabled; recommend to the Township Manager and Board of Supervisors of Lower Southampton Township such action as would be necessary to comply with the mandates of law, and such further action as would be beneficial to the general health, safety, and welfare of the disabled and all citizens of the Township; and provide a forum for presentation of the problems and concerns of disabled citizens and all citizens of Lower Southampton Township on issues relating to the disabled. The Board meets the 3rd Tuesday of every month at 7:30pm. Board Member - Term Expires January, 2021. A subordinate Board to the Lower Southampton Board of Supervisors, the Veterans Advisory Council gathers information for and distributes information to area Veterans. The Council also tries to assist local Veterans with their questions about needs and resources that may be available to them. We also advise the Board of Supervisors and Township Residents on matters relevant to the Township Veteran population. The Veterans Advisory Council (VAC) is a single-point Veteran information and advice resource for Lower Southampton Residents, Municipal Agencies, and the Board of Supervisors. The VAC either has the information, or access to information needed by these entities. The VAC tracks and distributes information about Local, County, State and Federal Veteran resources and events. The VAC works closely with other Veteran Organizations and offices to gather and provide information. The Council meets the 1st Tuesday of every month at 7:00 PM. With the youth of the Township being the future of our community, the Board of Supervisors has a concerned interest in the issues and environment affecting young people, and desires to provide any assistance and guidance to help them navigate the dangerous waters of today’s society, overcome negative influences and be a positive force for their success. The said task force will advise the Board of Supervisors on all matters pertaining to the reduction and ultimate elimination of drug and alcohol abuse, other harmful behaviors, and the effects of depression on youth within the Township of Lower Southampton. The Council meets the 2nd Monday of every month at 6:00 PM. If you are experiencing a medical emergency, are in danger, or are feeling suicidal, please call 911 immediately. Both YOUTH and PARENTAL resource materials are available upon request at the Township Library. They are available at the front desk and use is strictly confidential. Other helpful resources can also be found here.